Businesses owners require large amounts of investment to keep their businesses running and staying profitable. That is why it is so important to keep your assets secured with security systems in order to provide your employees, investors, partners, and clients the assurance and safety they deserve. CCTV: Closed-circuit televisions (CCTVs) are the most common and most used security measure in businesses, especially in medium to larger-sized businesses. When using CCTVs, business establishments can put cameras in areas that are not often monitored by roaming security guards, like storage areas, or in production areas to monitor the activities of its employees, as well as their safety. Most of the time, CCTVs are attached to computer monitors located in one area and monitored by security personnel hired by the company. IP Surveillance: Another form of surveillance is the IP camera surveillance or the Internet protocol surveillance. If your business is more of a factory where a lot is being processed or a restaurant that provides exemplary food, IP surveillance is right for you. With this you can check anytime, anywhere how products and food are being processed to make sure you only deliver the best-quality items. Alarm Monitoring: Alarm monitoring in Brisbane is applicable to any kind of business who does not operate on a 24-hour basis. This alarm is attached to a monitoring center which automatically double checks the security of you assets by giving you a call anytime the alarm goes off. Motion Sensors: Given the name, motion sensors can also be used to monitor activities that are ongoing around your business establishment or with your assets during off-duty hours. 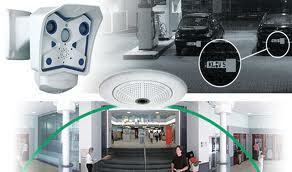 These sensors are usually paired with alarm devices which give off alarms once a detected motion is detected. Alarm Systems: Alarm systems protect your home and business in Brisbane and possessions from intruders. These systems are affordable and comes in different forms, depending on the need of your particular business. Brisbane Alarm Monitoring Security Services provides IP camera installation and alarm monitoring as well as a wide range of alarms and security solutions in Brisbane and throughout Queensland.